"Unfortunately many of the season’s popular Napa Valley Mustard Festival events will not take place this year. The economy has made it challenging to secure funding for the past few years – and it is not financially feasible to move forward at this time with the full program." More info and updates here. Even with limited Mustard Festival events, mustard season is always a fantastic time to tour the Napa Valley: No long lines at the Napa wineries, a chance at getting in to some of those world-class Napa restaurants you've been hearing about (without reserving months ahead). In short, a great time to visit, especially if you want to save a bundle on Napa lodging rates! Have you ever considered staying at a Napa Bed and Breakfast Inn during the Napa Valley Mustard season? Napa B and Bs are a great alternative to Napa hotels. Staying at a Napa B&B gives you access to all kinds of insider info and special things to do. We're currently talking to the Napa Valley wineries and restaurants about their special mustard season events. 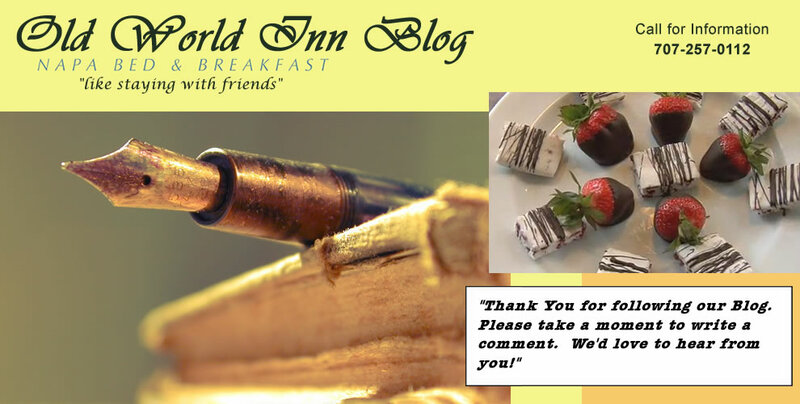 We're happy to share these with you when you stay with us. So if you've always stayed at a hotel in Napa, and never at a Napa Valley Bed and Breakfast . . . perhaps this is your year to discover why so many people consider Napa BandBs a "better way to stay" . . .